Lovely Location. 2 Bedrooms, 2 Bathrooms. Superb Views. 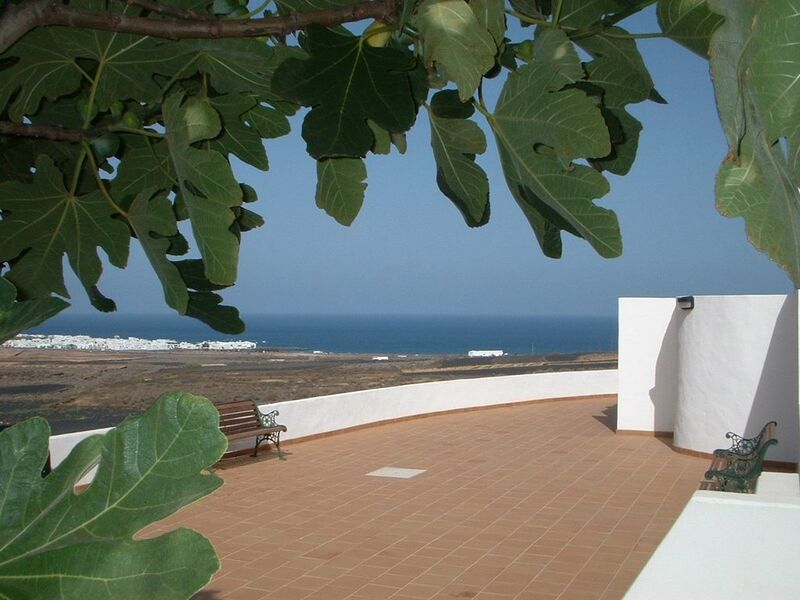 The apartment is situated in one of the most beautiful valleys in the north of Lanzarote, just over 1km from the beach. It is located in a pleasant rural setting, yet close to a fishing village which has several popular bars, restaurants and a fine sandy coastline. The nearby beach incorporates shower and toilet facilities, and two beach-side bars. Further along the coast are many small beaches and sandy coves. Several of the famous tourist attractions are situated nearby. The apartment enjoys magnificent views and provides ideal accommodation for up to 4 people. The apartment is available from 16.00 hours on the day of your arrival until 10.00 hours on the day of your departure. Please note: The television receives only a limited number of TV and radio channels In English. There are 2 washing machines available on site in a communal laundry area. Many thanks for your kind comments. We look forward to welcoming you all back on another occasion. We had a fabulous holiday - the apartment was perfect - spacious, everything we needed, great location and views, quiet and peaceful, away from it all sufficiently to really enjoy a secluded holiday but we could jump in the car to go absolutely anywhere on the island really easily. Loved swimming at Arrieta beach - the power of the waves some days made us giggle ridiculously! Lovely place and would definitely go back! Pleased to hear that you had a good time and enjoyed the charms of the island. Hope to see you again before too long. We liked the appartement from the first moment on. The description is completely right, the flat well maintained and the facility manager living close by and answering any questions. We loved the balcony with the great ocean view as well as the calm atmosphere and the natural surroundings. We had a rented car and visited lots of interesting things like Timanfaya, the Cesar Manrique Foundation, some of the smaller towns and the great beach of "Famara" in the western part of the island. We want to mention especially the perfect communication as well as the processing of our request by the owner of the flat. It was really a pleasure! We recommend the place to all visitors, who are looking for a calm and comfortable place in a rural setting. Tolle Wohnung mit schöner Terrasse, gemütlichem Wohnzimmer, Schlafzimmern mit großen Schränken und gut eingerichteter Küche mit Essecke. Bei unserer Ankunft fanden wir im Kühlschrank Wein, Milch und Orangensaft vor, dazu eine Tüte Chips ... vielen Dank! wir hatten eine wunderbare Zeit! Hatten schöne 3 Wochen auf Lanzarote, prima Klima, schöner Blick aus allen Fenstern oder dem großen Balkon (hatten die gr Wohnung mit 2 Schlafzi u Bädern. Sehr helle u freundliche Wohnung). Die Küche ist perfekt ausgestattet, bei der Ankunft fanden wir Gertränke und Knabberzeug vor, Wäschewechsel jeweils nach 1 Woche. Der Vermieter war auch eine Woche im Haus, er ist sehr nett u freundlich, hatte mir sogar auf Nachfrage seine alte Gitarre in die Wohnung gestellt (die dann allerdings nicht mehr spielfähig war... Aber Dennoch :"Thank you" Bernard). Der kleine Ort Arietta und der Strand sind ca 1 km enfernt, am Wochenende oder in Wochen mit Fiestas kann es dort enger werden, aber alles recht spanisch dort. Als Standort fanden wir Tabayesco auch gut, viele Sehenswürdigkeiten sind in der Nähe, auch weitere Strände in Orzola oder Famara.. There are a number of places of interest nearby, including Jameos del Agua exhibition centre, the Green Caves, the Cactus Park, Mirador del Rio, and Guinate Tropical Park. There are several interesting walks from the apartment which take in the beauty of the surrounding countryside. Grapes, figs, almonds, oranges and lemons are just a few of the many types of produce which are grown in the surrounding fields. The area is a productive source of vegetables for the island.